Does Singing Bring More Than Joy To Choir Members? The Pittsford Highlands Chorus was formed in May 2011. The chorus is a collaborative effort between The Highlands at Pittsford and The Pittsford Senior Center. Forty members of The Highlands community belong to the choir. Practices are held once a week in the Community Center here on The Highlands at Pittsford campus. Throughout the year, the choir performs for our community as well as at events in the Village of Pittsford. “.. research conducted in the early 2000s … measured the impact of a professionally-conducted chorus on the general and mental health of 166 community-dwelling older adults. The seniors involved in the chorus, as well as seniors in two separate arts groups that involved writing and painting, showed significant health improvements compared to those in control groups that did not participate in arts activities. Specifically, the arts groups reported an average of 30 fewer doctor visits, fewer eyesight problems, less incidence of depression, less need for medication, and fewer falls and other injuries. 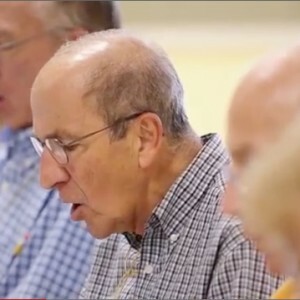 Listen to some of our residents speak about their experiences with The Pittsford Highlands Chorus! At The Highlands at Pittsford, the Seven Dimensions of Wellness are at the foundation of everything we do!